Urby and its counterpart Urby Soft were designed with muscular branding in mind — and here’s how they got ready to rumble. Urby began in 2014 when Jakob Runge was sketching letters with an organic yet rational feeling for a brand. From Spring 2015, he began to explore these shapes further and to develop them into an active and dynamic typeface with tension between its geometric and edgy construction. The typeface’s emergence was accompanied by adjectives like striking, distinctive, active, vibrant, angular, dynamic and ideas for potential ‘fits’ in contexts like sports, energy, travelling or sustainability came to mind. By contrast with Jakob’s Cera Pro, which was meant to support multiple languages in pure geometry, or Nils Thomsen making Pensum Pro a monster for creating readable text, Urby was designed to have strong character in every single glyph and — as in branding —give a boisterous and recognisable voice to text. Urby was designed to give strong character to single glyphs and a boisterous and recognisable voice to text. Identical character widths for tabular figures are nothing new, but for Jakob the idea of text with equal width in each weight was. Having different weights and styles sharing identical character widths allows you to change the weight or style of text without having to worry about reflow: a helpful feature in interface design. Under the slogan ‘not mono, but duplex’, the letter i was the Gordian knot. The spacing of the black weight has to be super tight in this letter to be as compact as possible for the light, the light which has to be as loose as possible to work for the black. In theory, type design is about producing a beautiful group of letters, not a group of beautiful letters. But Urby is reckless and celebrates the curves of each letter to create striking character. The @ sign in particular shows Urby’s constant tension between outer and inner shaping. Working with this tension was fun as it exemplifies one aspect of type design: designing black shapes by tweaking white counter shapes. Other letters, like the lowercase k, took a while to become a characterful letter that works with the other letters — beautiful group of letters, here we are again. In the final design there are some shapes that are quirky even for Urby. Characters like the black’s y, marked by Jakob’s personal taste, are a little eccentric while strengthening the typeface’s visual identity. A little more letterlove pops up in the .notdef glyph: just because it’s an idle replacement for a missing glyph doesn’t we should give a special design, specific to this typeface, to this character. Urby is supplemented with a pack full of useful dingbats and extra characters. Initially Jakob thought about adding complete extra icon sets for different topics like wayfinding or sports as for example Nils’ Jabana Extras does. But finally the focus was changed to concentrate on letters and just have some handy symbols included for free to enhance working with the font. After supplementing Urby with a full set of handy of handy dingbats and extra characters, Jakob wanted to go further. When finalising, kerning and tweaking Urby in 2015, Jakob had the idea of producing a rounded version. A more soft, even fully-rounded version would work well in the world of urban fitness, athletes and self-optimisation. As we wanted to publish Urby exclusively on TypeMates.com and it was still under development, Jakob had just enough time to get to work. Experimenting, he found totally rounding Urby meant it lost some of its edgy charm — but by rounding it just enough, he found a balance between Urby’s ruggedness and a playful rubberiness. And that’s it. The story of a typeface collection that’s more interested in having a strong identity than in conventional typographic refinement. Urby. 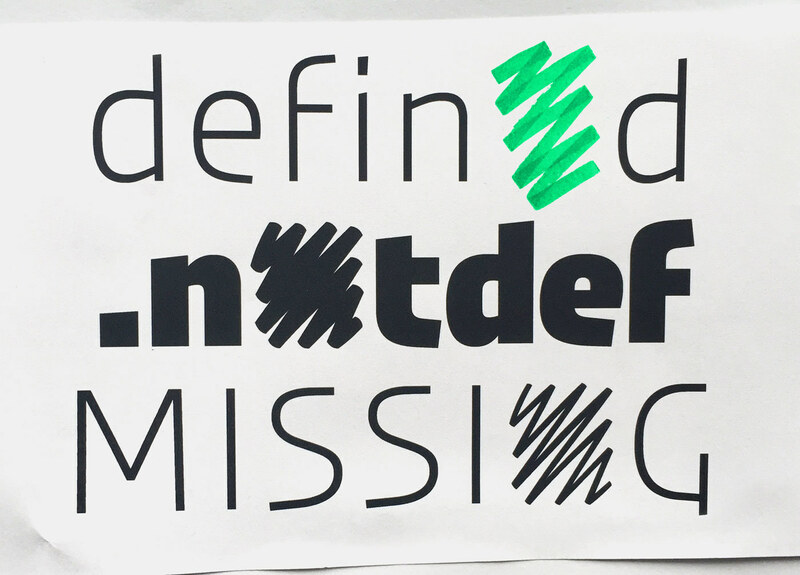 A typeface that’s more interested in having a strong identity than in conventional typographic refinement. 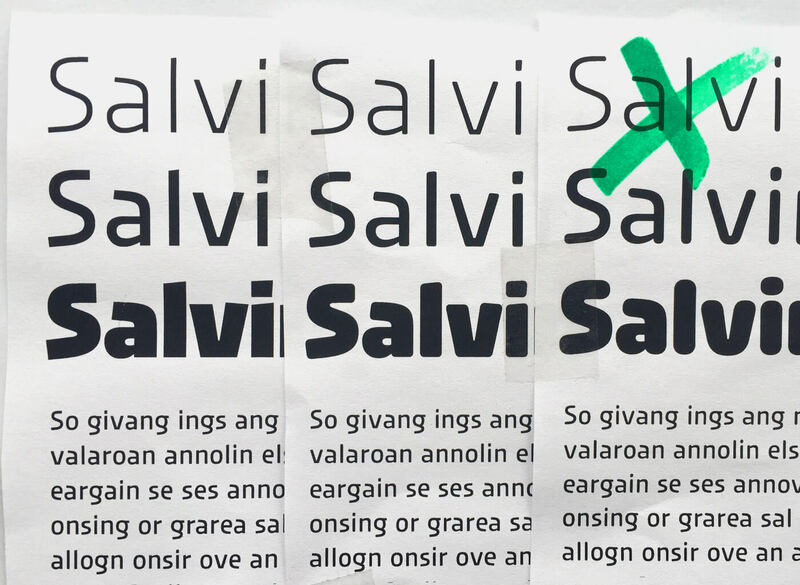 A typeface looking out more for a strong identity than for typographical refinement. If you like the look of either Urby or Urby Soft, take both: Until March 31 both families are 50% off and on offer for only € 169.